Throwing stuff out is not my jam. Minimalists, let me spare you the pain and avert your eyes now. Not only do I love to collect, I also struggle with sorting through and throwing out the accumulated tangible items of life. This includes my clothes, knick-knacks and kitchenware but my biggest challenge is anything that belongs to our boys; be it toys, items of clothing or books. I detest waste (who knows when it may come in handy?) but I also attach an immense amount of sentiment to such objects. Each precious article reminds me of our curly-haired, chubby-thighed little boys in Bonds t-shirts. How could I get rid of the wooden medieval castle or the Schleich animal figurines thoughtfully chosen together? But what I find most difficult is the books. Ahh, the books. Every book I pick up has been read thoroughly, over and over during those early years. Each of them reminds me of sweet smelling freshly washed heads, snuggly pyjamas, weary nighttime little limbs softened and curled against me. They listened and looked and recited along with either myself or the Yak as we read to them. As often and whenever we could. Trying to sort through the boys early childhood collection was my very own personal nightmare and I admit to keeping more than I should have. 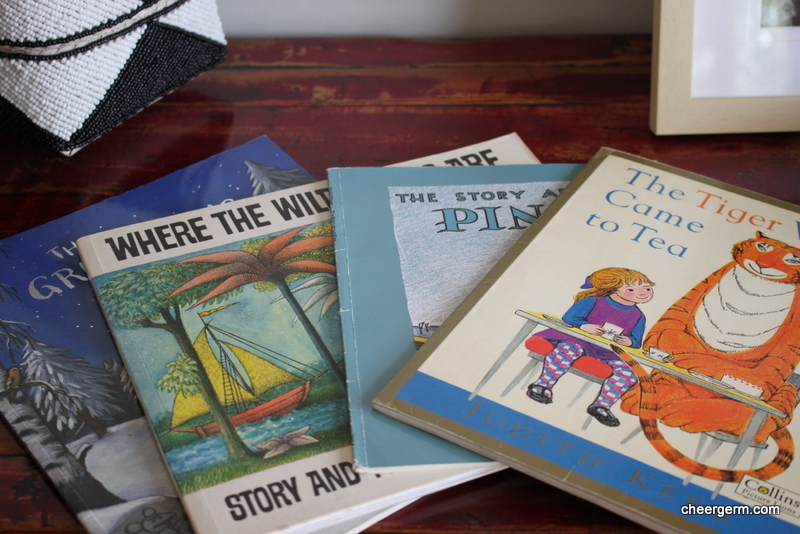 The classic books remembered from my own childhood had to be retained. The Giant Jam Sandwich, The Bad Baby and The Elephant, The Very Hungry Caterpillar, Where the Wild Things Are, The Tiger Who Came to Tea and The Story About Ping. Nor could I give away the many Hairy McLary’s, The Gruffalo, Don’t Let the Pigeon Drive the Bus and Peepo. (To name but a few.) Lovingly packed away for now, my hope is that they will be read to future possible grandchildren (if I live that bloody long). If not, they will hopefully be rediscovered by our boys when they get the wonderful job of clearing out the crap once we have shuffled off this mortal coil. Lads, you are welcome. Whisk the flour, psyllium husk, sugar, baking powder, bi-carb soda, salt, cinnamon and nutmeg in a large bowl. 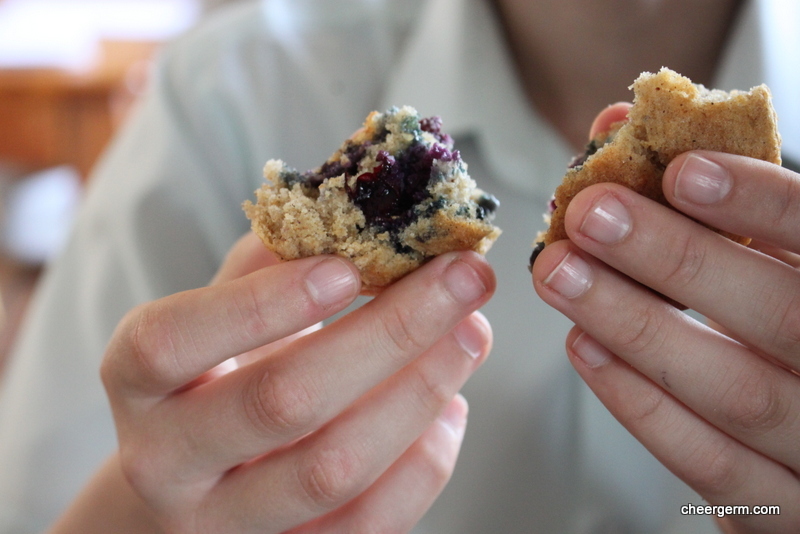 Add the blueberries and toss them in the flour mixture. 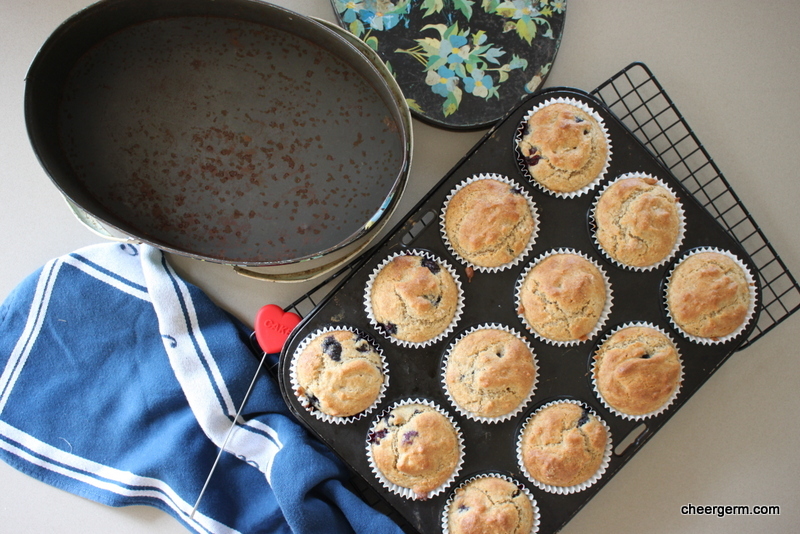 This flour coating helps them to not sink when baking. 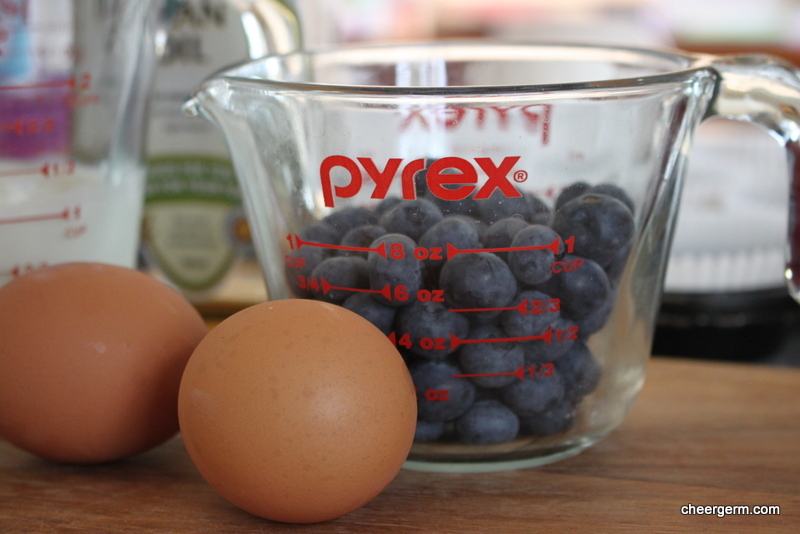 Whisk the buttermilk, eggs and oil together thoroughly. Pour the wet ingredients into a well in the dry ingredients and and very gently, fold the ingredients until everything is combined. 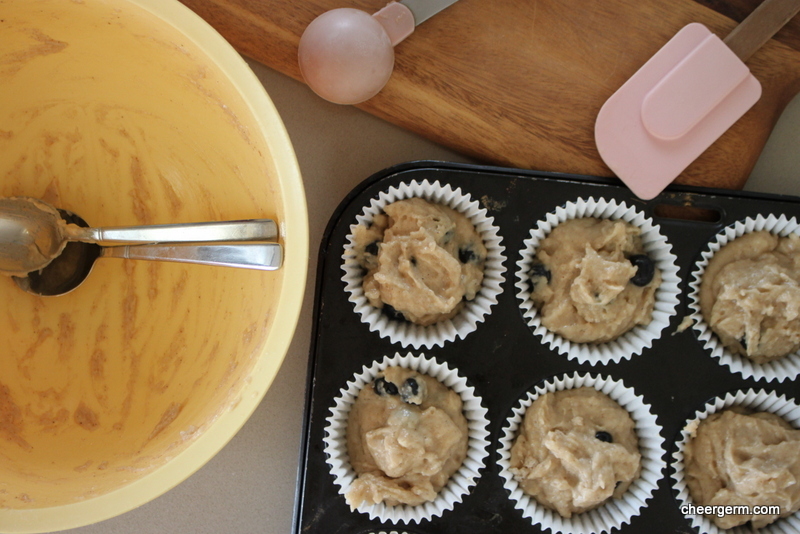 Fill the muffin liners equally. 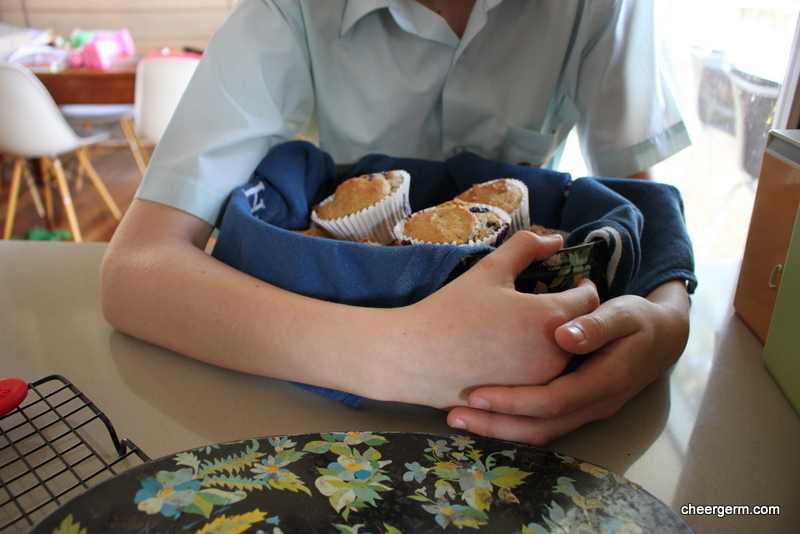 Bake the muffins for five minutes at 210C then lower the heat to 180C and bake for another 15 minutes. 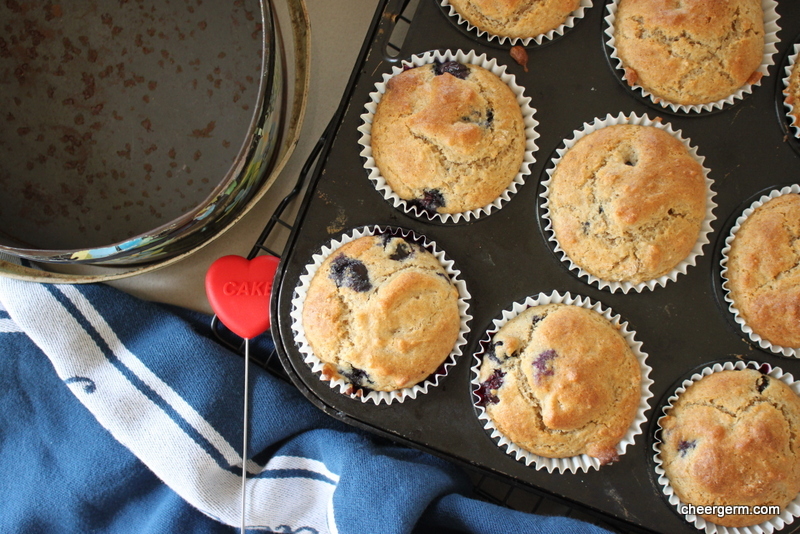 The muffins are cooked when a skewer inserted into the middle comes out clean. 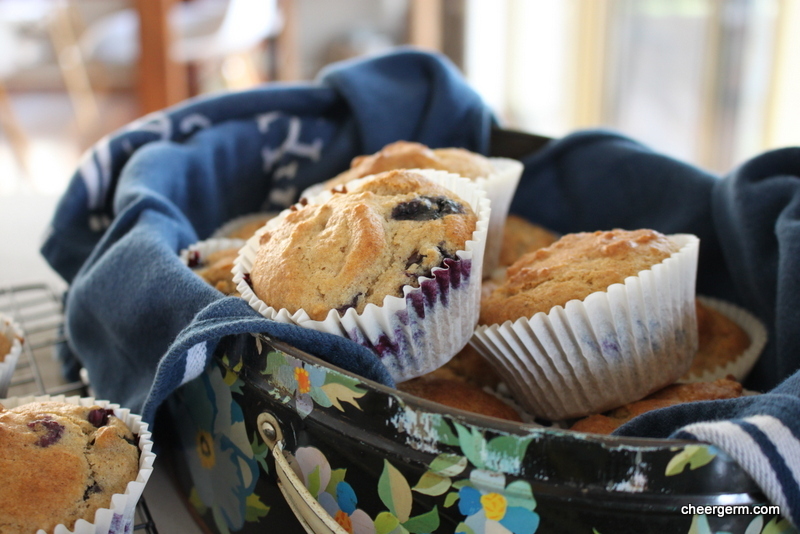 Remove from the oven and place the muffins onto a wire rack to cool. Recipe slightly adapted from the following blog. 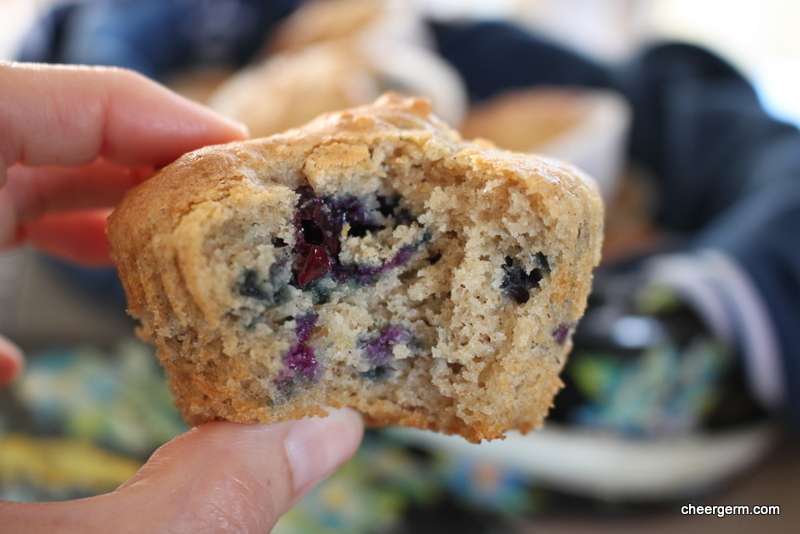 This is a great post involving all things muffiny and gluten free. Go have a read.